The female counterpart to Batman has been redesigned as part of the DC Bombshells collection. 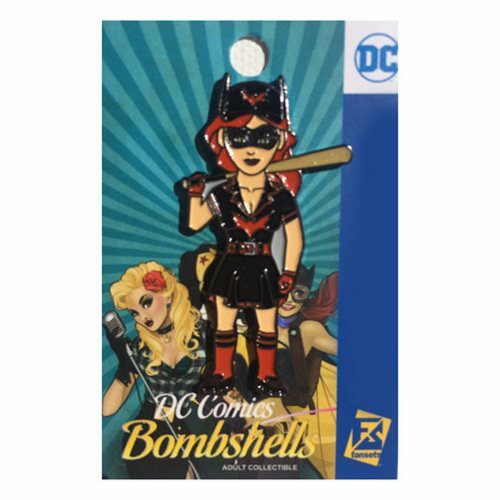 This DC Bombshells Batwoman Pin features your favorite super heroine re-imagined as 40's pin up girl. Collect all your other favorites to make your collection complete (sold separately)! This pin, which goes great in any collection, also looks great on clothes and bags and measures about 2-inches tall.